The melodies and music of Ireland will make a welcome appearance at Down Arts Centre on Friday, 26 April. 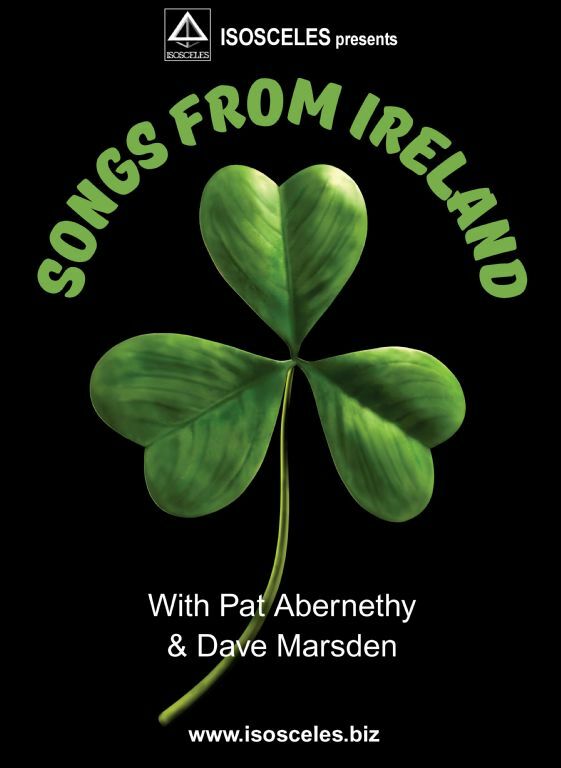 The performance, presented by Isosceles Theatre Company, and entitled Songs of Ireland are the result of duo Pat Abernathy and Dave Marsden who return to their Irish roots for an intimate and evocative musical evening. The audience will be able to enjoy some well-known songs that reflect the Irish spirit in its many forms – nostalgia, romance, emigration, politics, sentimentality, loss, regret and humour and have been selected because they say something that resonates with Pat and Dave, both musically and lyrically. Between songs the duo will regale listeners with stories from their days in Ireland throughout the years. The songs selected will include those either written or sung by the greats of Irish music, including Paul Brady, Tommy Makem, The Furey Brothers, Christy Moore, Brian Kennedy, Bagatelle, Shane McGowan, Phil Coulter, Mary Black and many more.